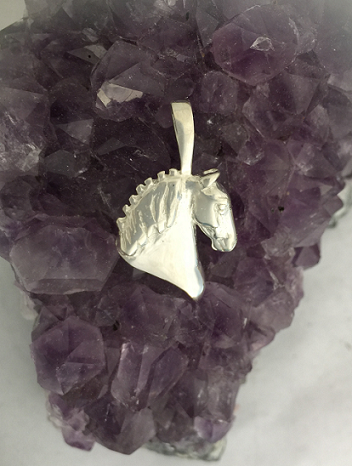 Draft Horse Head Profile Pendant is a great way to represent the breed you love, specifically the animal you love. The gentle giants are known for their strength and gentleness in their demeanor. PICTURED AND PRICED HERE IN STERLNG SILVER!